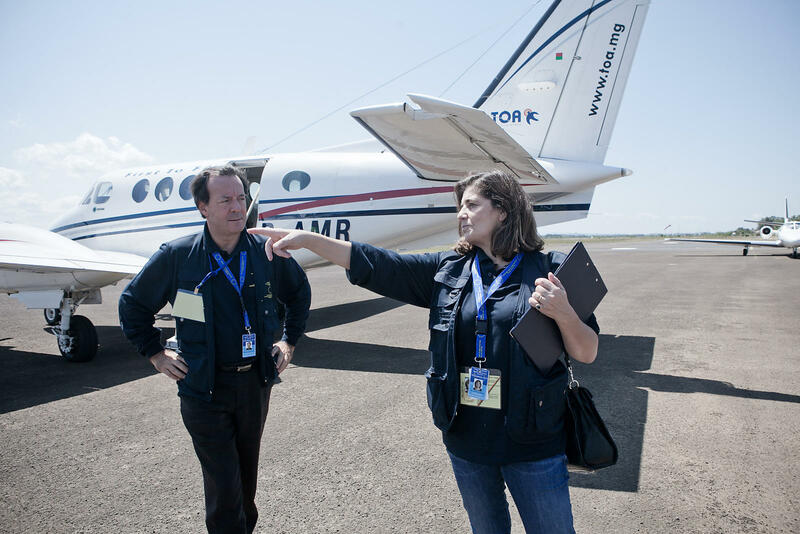 RIJASOLO | European Union chief observer Maria Muniz de Urquiza (R) stands next to a private aeroplane as she goes to inspect a polling station on October 25, 2013 in Tamatave, on the eastern coast of Madagascar. Madagascar voted in crunch elections on October 25 to restore democracy after a 2009 coup plunged the island nation into crisis, with isolated incidents of violence leaving one dead. A senior government official was killed and a polling station torched as voters sought to end a crisis which has crippled the country since strongman Andry Rajoelina, 39, ousted Marc Ravalomanana four years ago. 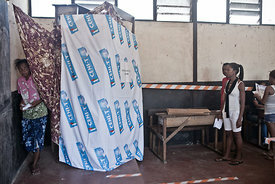 European Union chief observer Maria Muniz de Urquiza (R) stands next to a private aeroplane as she goes to inspect a polling station on October 25, 2013 in Tamatave, on the eastern coast of Madagascar. 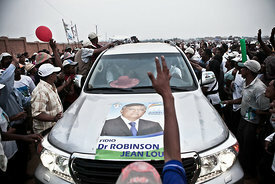 Madagascar voted in crunch elections on October 25 to restore democracy after a 2009 coup plunged the island nation into crisis, with isolated incidents of violence leaving one dead. A senior government official was killed and a polling station torched as voters sought to end a crisis which has crippled the country since strongman Andry Rajoelina, 39, ousted Marc Ravalomanana four years ago.